I figured most folks might like this link. It’s a really well organized reference to a deep selection of movie posters from 1974 until now. Of course there are commercial links, but still a nice source none the less. 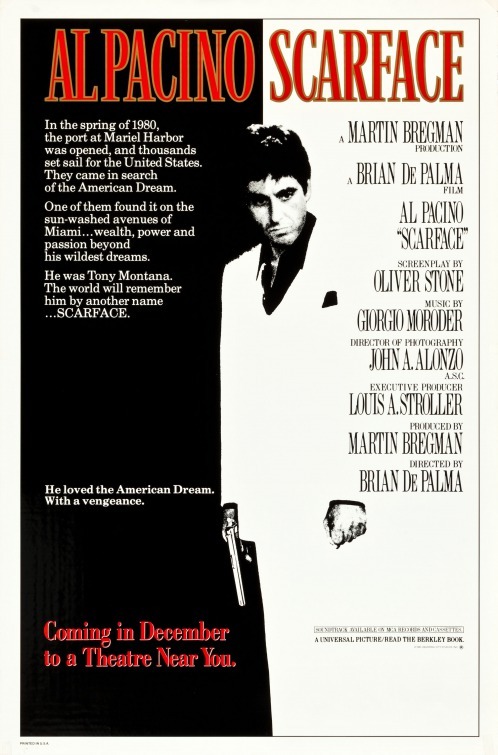 I still have my original Scarface poster. I didn’t know it was going to be a requirement in everyone’s house on MTV Cribs. I am lucky to have a group of friends from my home town who continue to harrass each other via email. We heard about this poster resource when another hip-hopping hillbilly, Craig Bates of Knoxville, sent an image that looks remarkably similar to one of the crew. The poster is for the upcoming film The Forty-Year-Old Virgin starring Steve Carrell, currently the star of the American version of "The Office".